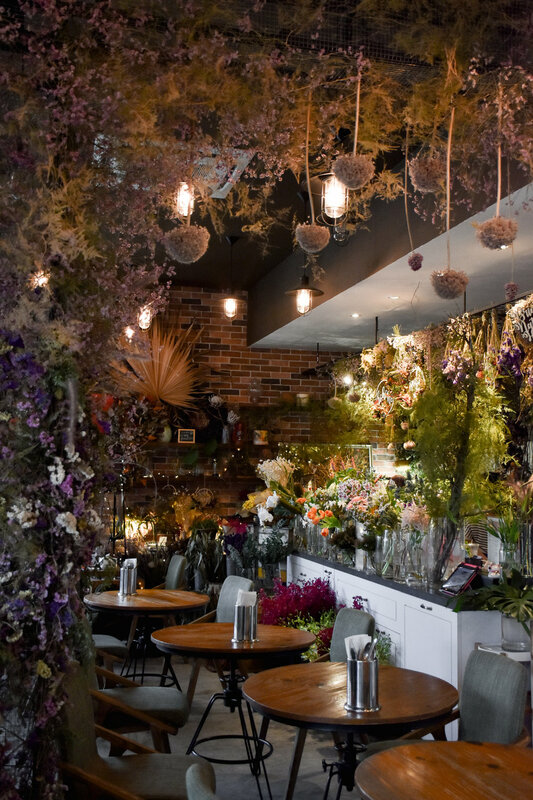 Nestled at the ground level of The Summerhouse is delightful Wildseed, a café, patisserie and bar where summer lingers through the scent-filled days and into the night. By day, Wildseed Café prides itself on serving great coffee and freshly baked pastries and cakes thoughtfully created by 1-Group’s pastry chef Jasmin Chew. The café also serves a healthy selection of sandwiches, pastas and pizzas and offers an extensive selection of brunch fare on the weekends. Looking for a memento of summer? A bouquet of fresh seasonal blooms is the perfect takeaway from partner florist, Poppy Flora Studio.